Wow, beautiful photos + love this interior. You make me to visit only coffee shops when I come to NY hahaha :)). I really enjoy your photos and I hope you will continue presenting us interior photos in other coffee shops! nope, never tire of your interiors. was a little concerned, though. "no bokeh. who's shooting?" 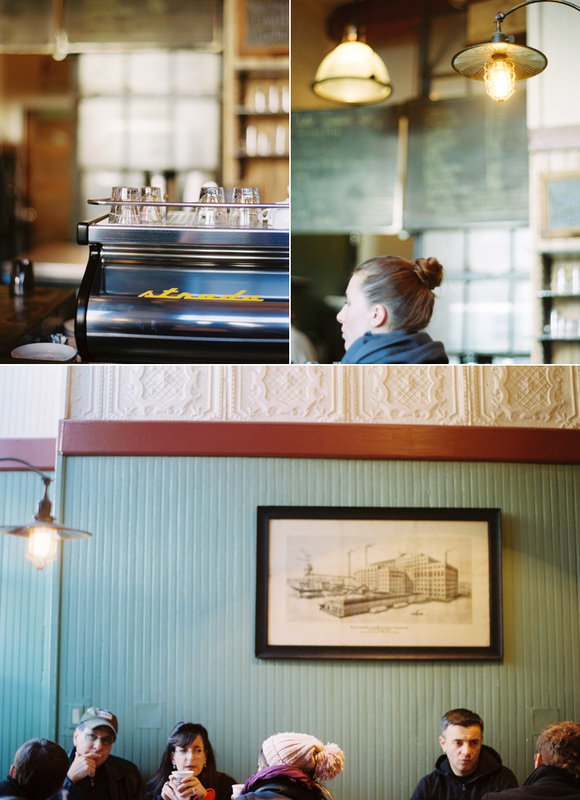 Trust me, I'll never be sick of looking at lovely coffee shop interiors. Keep them coming! This spot is truly lovely. Look at those walls! I'm always so impressed with the quality of iPhone pics (at least the 4s ones - I need to upgrade mine...). You rock no matter what kind of camera you use! Excellent storytelling and photos, thanks for sharing! Nope, still not sick of these coffee shop adventures. I love these kinds of interiors too! You rock the iPhone like no other, seriously. Wow! Oh, what a beautiful space! I never tire of seeing neat coffee shops. Beautiful photos.